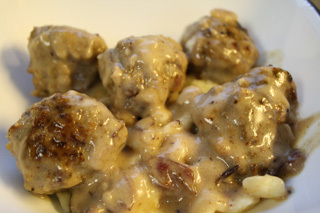 The other night my husband requested one of his old favorites: Swedish meatballs and spaetzle. I have never made meatballs of any kind, so I was excited at the challenge of a new food. It was just cold enough that the idea of Swedish Meatballs sounded really good. Thus, I called up my mother-in-law, who was in possession of my hubbie's favorite recipe, and now I shall share it with you! Saute the onion in 1 tbsp olive oil until tender. Meanwhile, soak the bread crumbs in the half and half. Then mix the sauted onion, meat, honey, & egg. Add seasoning. Add bread crumb mixture. Mix throroughly, using hands. 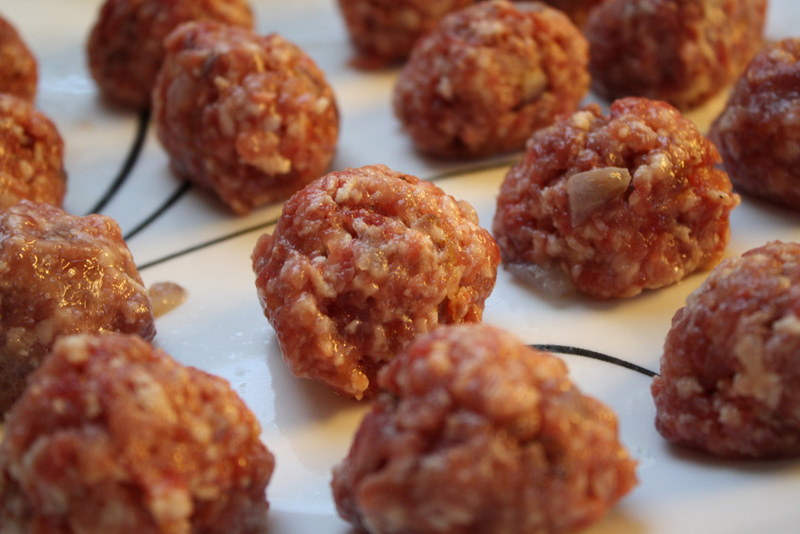 With wet hands*, make 24 golf ball sized meatballs. Place on slightly wet plate. In a clean skillet, melt olive oil & butter over medium heat. Add meatballs, turning often, until browned and cooked (about 7 minutes). Transfer to a clean plate and keep warm. *If you have a squeeze-action handled scoop (like Pampered Chef sells), I recommend using the medium-sized one. 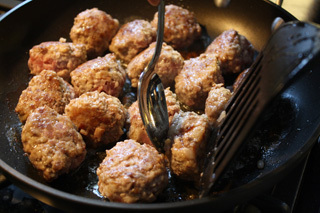 It makes 32 meatballs quickly and all the same size. 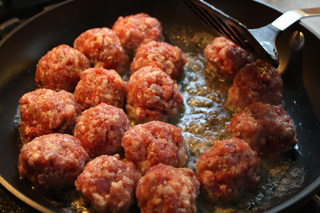 Discard all but 1 Tbls of the fat from the meatballs. Whisk the flour into the fat to make a roux. 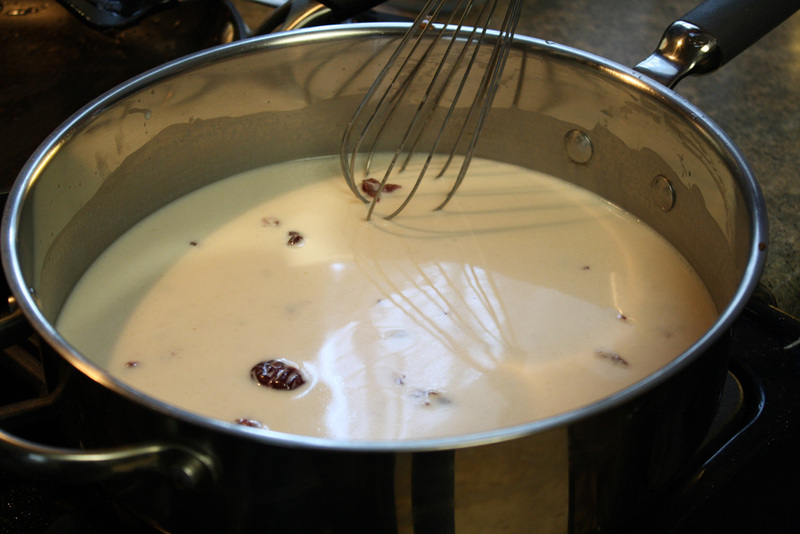 Whisk the chicken broth, half & half, cranberry sauce, and pickle juice into the skillet. Simmer. Season to taste. Add meatballs, reduce heat to medium and simmer until heated through and sauce is slightly thickened. 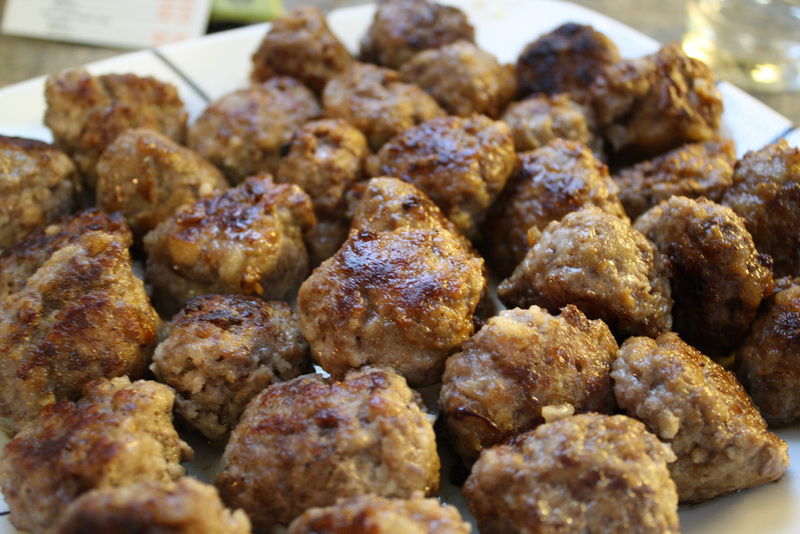 Serve with Späetzle or egg noodles. This fillling meal will please the soul on a cold day! Enjoy!